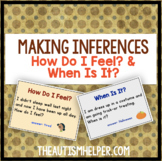 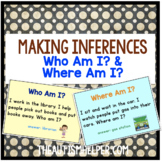 Make Some Inferences! 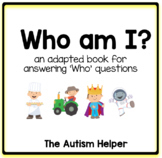 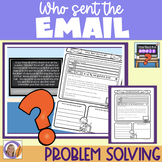 2 Flashcard Games for Who am I? 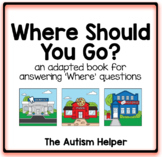 & Where am I? 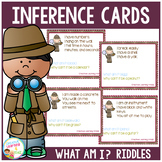 Make Some Inferences! 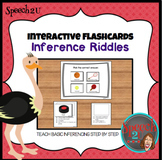 2 Flashcard Games for What am I doing? 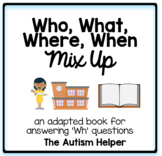 & What is it? 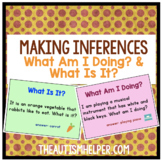 Make Some Inferences! 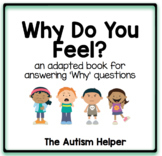 2 Flashcard Games for How Do I Feel? 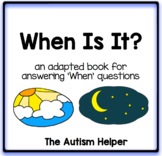 & When Is It? 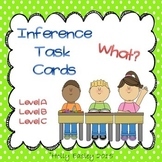 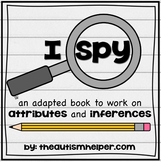 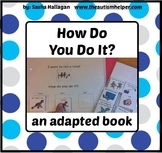 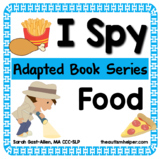 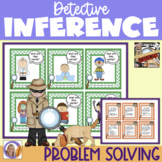 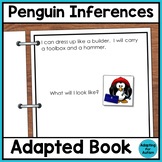 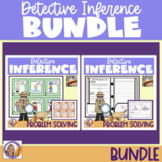 Inference Task Cards-What?-3 Levels-for Autism, Special Ed. 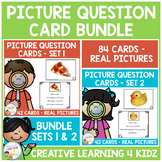 or Early Learners. 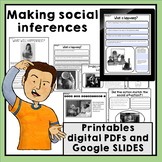 Making social inferences. 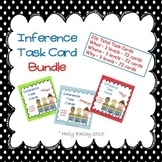 Social inferencing practice to develop social skills.